I hope you have all had a great week, and enjoying the run up to halloween. I have already seen lots of Halloween tutorials going up on Youtube, which look amazing. So as it is nearing the end of October and we are heading into winter, which is one of my favourite times of the year as it is time to bring out the booties!! Now I love boot season, and with the ankle boots now making a big stand in fashion I couldn't help myself by do some online shopping. So I have pulled together some of my findings below, I must admit it was quite a tough find this year, but I hope you like what I have picked. 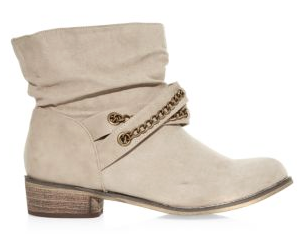 The great faux suede ankle boot, with ridged sole and wrap around ankle strap. I personally do like a softer sole on the bottom on my boots, as it makes them easier to walk in and give you more grip on a wet surface. Also this boot give good protection of your ankle for good support. 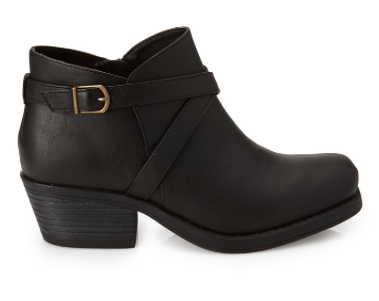 These great leather ankle booties are great everyday bootie, and will go with nearly every outfit. I do like the fact that they do not have a very high heel so your feet will not hurt after wearing them for longer periods of time. What is also great is that they come in three colours black, Deep Taupe and Burgundy. 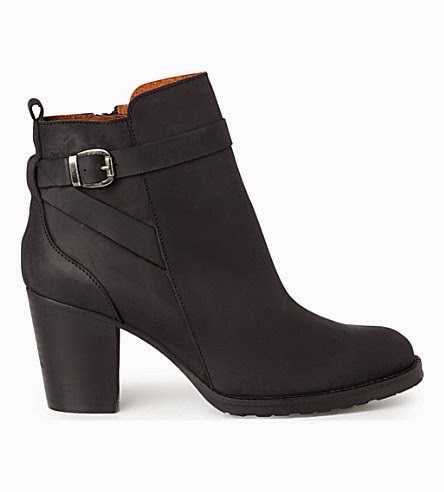 These boots are great, and I fell in love with them when I saw them. I especially love the colour, most often winter boots are always dark colours so its nice to see a lighter pair. I like the detailing of the chain around the front which give it a more dressy look, and also whats great is these come in two colours the cream colour and a rustic black colour. Kurt Geiger are by far one of my favourite shoes brands, and especially for boots. I personally have had a pair of boots from here for two years now and are still in brand new condition. So when I saw these booties I had to share them with you all. I am defiantly attracted to the smallish heel so they are booties that you could wear for long periods of time, and they still look smart so would go very well with a pair or denim/black jeans. What do you think, and which are your favourite boots?